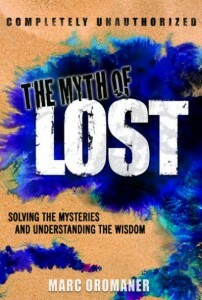 Lost In Myth: “Follow the Leader”—Can Changing One Moment Change Everything? 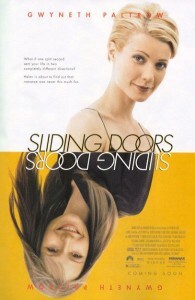 In the 1998 film Sliding Doors, Gwyneth Paltrow’s character splits in two different directions all depending on whether she manages to catch a train. Interestingly, the two realities never coalesce. In fact, as the story progresses, the separate versions of her life split further and further apart, and end up in two entirely different places. While I enjoyed the movie and the perspective it brought up, to be honest, it didn’t sit entirely right with me. Is life really just a collection of random events with an infinite number of pathways all dependent on an infinite number of decisions we make at any given moment? Or, is there a general path that life wants us to take, and when we drift, it nudges us back in the general direction we’re meant to go? I prefer the latter explanation, if for no other reason than it is much more forgiving than the former. It gives me comfort to believe that one little mistake is unlikely to mess up my entire life, and if it does, the mistake is unavoidable. It also gives me comfort to think that we are being guided toward some ultimate purpose. This fate versus free will question has been one of the major themes of Lost and has really come to a head in the last couple of episodes. And despite indications to the contrary, it has already given us its answer—fate wins. Whether that perspective allows for some freedom of choice wiggle room (aligning with my own beliefs) remains to be seen, but the show has already indicated to us that fate will win out in the end, and whatever happened, will happen. In other words, Faraday was right to begin with and his newer “variable” theory is not. How do I know? Well, for starters, he’s dead. Faraday went to the Others camp in hopes of changing what had happened. Unfortunately, fate wouldn’t let him. If this were any other show, that would be the end of it. Since this is Lost however, there are a million different ways his plan can still take effect: he can be brought to the temple and reincarnated, the smoke monster can free him temporarily from the afterworld or duplicate his likeness, his thoughts can be channeled via Miles, he can be rescued through time travel, or, Jack can be inspired to take his message to heart and continue Faraday’s plan on his own. While I won’t be surprised if any of these methods lead to Jack and company setting off Jughead, I can tell you it will not make a lick of difference for the end result. As many Lost fans have gathered, if anything, Jughead is more likely to cause the incident that led to the current sequence of events than stop it. Even if it doesn’t, even if the explosion of a hydrogen bomb manages to somehow defy physics by, in Faraday’s own bizarre words, “destroy the energy” (most physicists agree that energy cannot be created or destroyed), it will still amount to no change. Think about it. If Jack manages to set off the bomb and it prevents the incident so that the Swan station numbers never have to be pressed, then Desmond can’t inadvertently cause 815 to crash. That means 815 lands but Jack and the gang will never be sent back to the island to prevent the incident that caused it to crash. 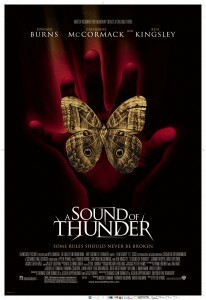 I can picture all the 815ers carrying about their lives in 2004, when suddenly there is a ripple and all these weird things start to happen sort of like in the Ray Bradbury story, “A Sound of Thunder.” Only here, Jack’s actions will cancel themselves out. So, there will eventually be more ripples causing Jack and company to come back to the island in 1977 to be given another chance. Assuming he doesn’t remember having done so already, Jack may prevent the incident again. If so, the same thing will happen—all the 815ers will be stuck in a loop until the incident is allowed to occur. This could go on and on until, perhaps, Jack has a déjà vu and gets a sense that he keeps doing the same thing again and again. He may still do it anyway, until the déjà vu gets stronger and stronger, acting like feedback on itself. I don’t know about you, but whenever I get déjà vu, it’s usually a déjà vu of my remembering something where I also had déjà vu. It’s because an event is continually repeating, including, my remembering that the event has already happened. There was actually a Star Trek: The Next Generation episode titled “Cause and Effect” that covered this very theme. In it, the Enterprise is caught in a time rift and the crew keeps making the same choice to get out of it. The ship, along with the crew, are all destroyed but then loop back to the same moment where they made the wrong decision. Eventually, the android character, Data, notices a strange sequence of numbers in the cards he’s holding during a game of poker that soon show up everywhere. Data comes to believe that it’s his subconscious talking to him from one of the previous loops. Repeating numbers? Perhaps we aren’t seeing the first time the Losties have gone through this series of events, perhaps it has been going on for an eternity and the universe, aka, the island is giving them clues on how to get out of it and get time flowing again. Maybe this loop extends further back than the 815 crash and explains why all the Losties are connected—the universe is conspiring to bring everyone together so that things can happen as they are meant to. Interestingly, this Star Trek TNG episode also brings up themes of mysterious whispers and characters getting headaches, just like Lost. It truly is amazing what messages mythically-themed stories—and Lost in particular—are sending us. If you think about it, Lost can be teaching us exactly how the world works—even if it’s only subconsciously. In fact, “Follow the Leader” brought up this very point throughout the episode, although, even this was sent subconsciously. As I mention in The Myth of Lost, “mythologically speaking, being underwater (especially in the ocean) is symbolic of dreams and the subconscious. That’s why the planet Neptune—named after the Roman god of the sea—represents our dreams and subconscious in astrology.” In fact, it’s not just being underwater—being underground also represents the subconscious. In “Follow the Leader” we witness people swimming underwater to reach underground tunnels. There, they find the underground bomb that could set off this loop. We also see the love triangle of Sawyer/Kate/Juliet (or “Skatiet”) head underwater in a submarine (water also represents love and emotion). Since the sub passengers have not been knocked out for the journey, as is the custom, I would actually be very surprised if they are able to make it back to the mainland. Not just because it would mess with my main Lost theory, but also because it sort of messes with the mythology of the show. Why did they always have to be knocked out before if it was never necessary? Yet, I digress. The point is that all these underwater and underground scenes are a heads-up from the shamanistic powers of the writers that the story is giving our subconscious a juicy download about how the world really works. Will the variable win out over the constant? I say no, and here’s one last reason why: Miles. Miles never grew up on the island. His father, Dr. Chang, practically forced them to leave. The reason Dr. Chang did this, we eventually learn, was so that his family would be safe from the incident. And the reason he knew about the incident was because Miles, Faraday, and inadvertently Hurley, convinced him that they were from the future. So, the effects of Jack and the gang’s time traveling have led to results that can already be witnessed, namely, Miles having been taken from the island as a baby. Even if there was no evidence though, Jack cannot prevent the incident from happening because the effects of this action are what enable him to do so. In other words, this isn’t just a paradox, it’s a looping paradox where the results are needed to create those results. The closest Jack can come to making a change, is to set off some massive looping feedback. Perhaps, this is what the incident is—and it will continue until Jack loops to a time where he does not set off the bomb. It is possible that Jack prevents the incident, or gets everyone killed, and this may be how the episode ends. But this result will eventually be rendered moot because whether Jack is dead or stops the incident, he cannot come back to the island to cause this very result. So, it must loop back again. To bring this column full circle, if you could get a redo for a certain decision you made in your life, where would you be? I believe you would be in pretty much the same place right now. You are in the career you are meant to be in—even if you hate it and should probably leave it for something else. You are in the relationship you are meant to be in—even if it is doomed to failure. It’s all learning lessons designed to help us experience ourselves in certain ways we are meant to experience. We have freedom of choice when it comes to the details. But ultimately, life will steer you on the course you are meant to go. It will give you the challenges you are meant to overcome. And it will keep doing so until you either overcome them—or don’t. Chances are though, you’ll get to play again in your next life. If you didn’t succeed, you’ll be given a similar set of circumstances once again. And if you do succeed, you’ll come back at a more advanced level with harder challenges. I think this is the ultimate message of Lost that we just might get to see during “The Incident” or not until a year from now. If it’s the latter, do you have the patience to wait? If not, don’t worry. This game of life is impossible to lose. If you don’t get it in this lifetime, you’ll get it in the next. And we’ll all be there to help. Sure, but I haven’t even officially launched this blog yet, so I don’t think there are many readers. How did you come upon this post?